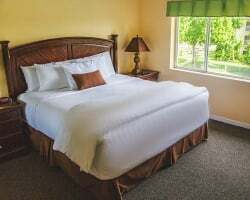 Not far from Orlando's best attractions, the Silver Lake Resort provides the best in family-friendly accommodations in Central Florida. You can find your own timeshare accommodations at the resort for prices up to 70% lower than retail pricing with SellMyTimeshareNow.com. What’s My Silver Lake Timeshare Worth? A lifetime of fantastic family trips to the Orlando area have never been so easy or luxurious than at the Silver Lake Resort. 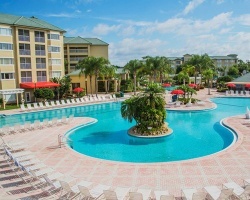 Located just south of Walt Disney World, this upscale timeshare property features amazing accommodations and amenities within a convenient distance to the area's best attractions. Enjoy desirable on-site features and services like an outdoor cabana bar, a movie theater, three heated swimming pools, and even a golf simulator. 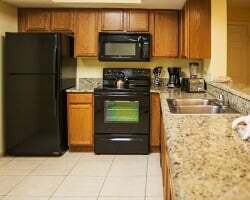 With so much to offer groups of all shapes and sizes, you'll find a vacation home meant for you at the Silver Lake Orlando. Units at the resort are spread between hotel-style spaces and villas that incorporate homelike features and in-unit amenities designed to give you the best possible vacation experience. You'll feel right at home within your own luxurious space thanks to the meticulously-maintained suites at the Silver Lake. 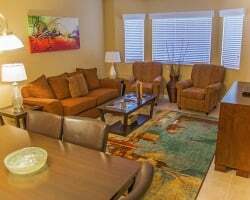 You'll find your timeshare includes upscale furnishings and special features like Jacuzzi tubs, full kitchens, private balconies, and spacious living areas suitable for groups of up to twelve. Regardless of what you seek to do on your trip, you'll have the perfect place to do it from with your luxury suite. Are you ready to find your dream Orlando accommodations? Fill out the form on this page to learn more about owning a timeshare at the Silver Lake Resort, or call a representative at 1-877-815-4227. Purchasing a timeshare at the Silver Lake Resort will guarantee you years of amazing trips with special owners-only benefits that will make each vacation that much more memorable. The biggest benefit of all, however, is the ability to get the ownership options you want at all-time low prices on the resale market. Because resales are sold by current owners and not the resort itself, timeshares on the secondary market often fall up to 70% below retail costs, giving you the deal of a lifetime. You'll be able to find resales at the Silver Lake Resort in Kissimmee in the form of deeded fixed and floating timeshare weeks, giving you a variety of options to consider. 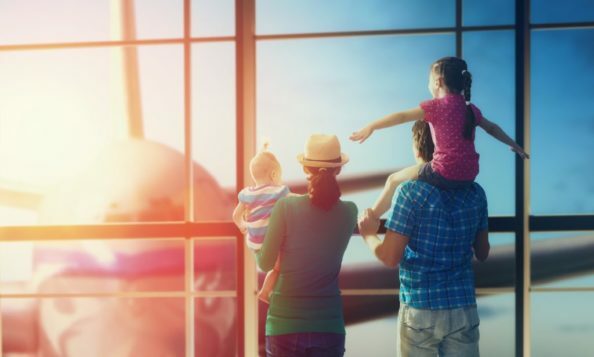 You may also find resales that carry a points-based ownership format, which can allow for more flexible yearly trips. Regardless of which ownership method you choose, you'll have years of great getaways to the Orlando area. Along with your guaranteed yearly accommodations, the Silver Lake Resort Florida offers the opportunity to discover the world. With an RCI membership, you can take advantage of the largest timeshare exchange network in the world to facilitate trades with other resorts around the globe. Simply deposit your timeshare accommodations at the Silver Lake into the RCI database, and trade for weeks at other resorts or RCI points to use on alternative vacation options. Additionally, the Silver Lake Resort is a Gold Crown-property, RCI's highest distinction of quality for affiliated resorts. This will give you more trading power on the exchange network, allowing you to trade for other high-quality properties for a luxurious stay every time. Vacationing at the Silver Lake Resort will prove seamless and carefree thanks to the property's many on-site amenities. For starters, you'll find the three heated outdoor swimming pools perfect for lounging and splashing. The resort even features a swimming area for young children only, ensuring your little ones can cool down as well. Grab a drink from the poolside cabana bar, or kick back in the clubhouse to enjoy a quiet area to socialize. Work up a sweat at the fitness center, or take it outside to the tennis and basketball courts to stay on top of your fitness goals. The game room features plenty of video games and other activities for kids and adults alike, while the playground is ideal for smaller children. Check out the golf simulator to work on your game without even leaving the property, or catch a movie at the on-site theater. Around the resort, you'll find Orlando's best attractions just minutes away. Drive a few short miles to Walt Disney World, where you'll find Epcot, Blizzard Beach, Magic Kingdom, and more magical theme parks awaiting your discovery. Farther north is Universal Studios and SeaWorld Orlando, offering even more opportunities for fun family getaways. Shop the Mall at Millenia, or embark on a day trip toward the Atlantic coast to find the Kennedy Space Center. Already Own at Silver Lake Resort?